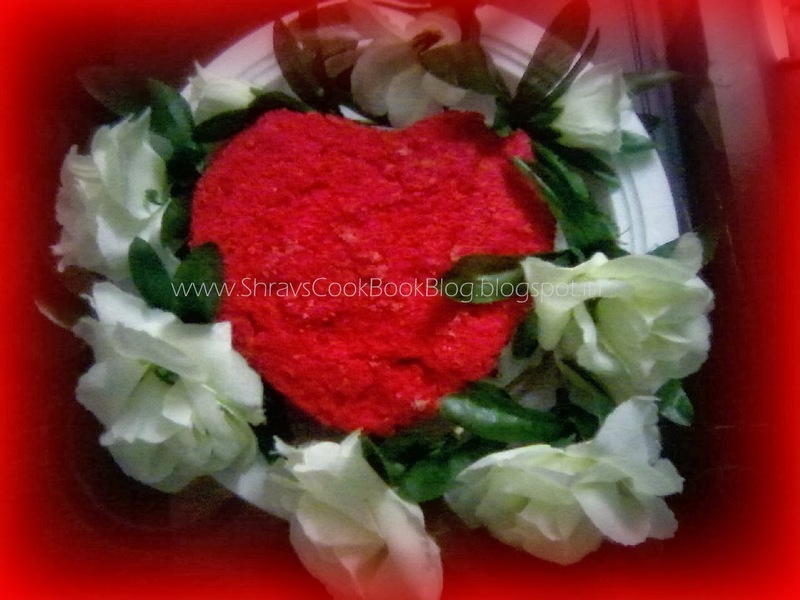 Red Choco Cake on Valentine's Day Special - This day is a special day for loads of people and their loved ones. A day to recollect old and cherishable moments, a day to welcome such more unforgettable moments, a day to celebrate and honor our love in our respective lives. 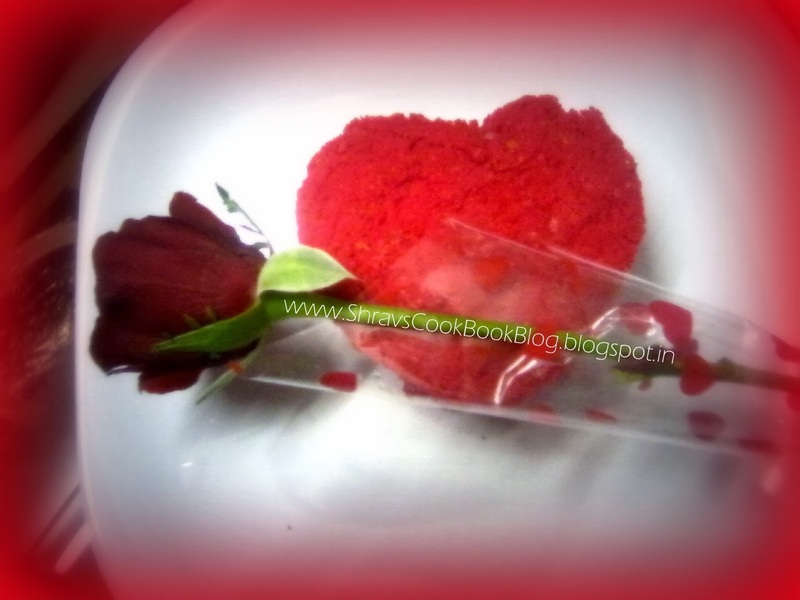 I wish to organize my very first event in my blog and I want it to be related with valentine's day :). This valentine's day is gonna be very special for me as I am planning to arrange a surprise candle light dinner for my hubby :). Isn't it amazing :). I wish you all to celebrate the ocassion so specially and so so sooo happily. Also I request you dearies to send a single recipe from the delicious and special recipes u r gonna make for this day to my first and special valentine's day event and do encourage me with ur support to the fullest :). 1. You can send in any recipe may it be any rice varieties, side dishes, snacks, rotis to naans etc. Both veg and non-veg recipes are welcome. 2. It can be any fruit juice, dessert, cake and bake etc. 3. I love cakes, you can send in and if you are not good at Icing...don't worry you can decorate cake with some flowers, pearls, ribbons etc...it should look great and inviting :). Am also gonna do the same way :). 4. If you have any special dining arrangement ideas, then you can send in those pics and are heartily welcomed :). 5. If you are good at making flower bouquets for valentine's day carrying a message...you can send in those pics too. 6. I will update this event space with some more ideas which make valentine's day special. 7. I wish you to send your pics to my mail ID along with my event name and please put the logo in your blog post which is mandatory and as well to spread the word on my event. 8. You can send in archived recipes too, but please re-post it with the event logo and link to this event page. 9. Event lasts till Feb ending. 10. Non-bloggers too can mail me their pics on my mail id. 11. Along with the taste of the dishes, presentation too matters for my event. So, present ur dishes very well. Hoping to receive lot of special recipes from you all! I will update the pics sent by you in this space....present it very well hoping your's to be in top :).